Why do Barn Owls need help? We love Barn Owls because they are beautiful birds with lovely soft feathers and awesome hunting powers – but did you know that seeing a Barn Owl is an important sign of the health of the countryside? Barn Owls are top predators – if they can survive in your local area, it means that lots of other wildlife is thriving too! Sadly, Barn Owls used to be common, but now you are very lucky if you see one. If there are no Barn Owls in your area – especially if you live near open fields – it’s possible that other wildlife is not doing very well either. Barn Owls need our help – and there are lots of things that we can all do – whatever age we are. How can young people help Barn Owls? *Always make sure you get permission from your parents/guardians or teachers. *If you are thinking of running a fund-raising event in aid of the Barn Owl Trust; please contact us first. We may be able to help with ideas and planning. Thanks! Get the knowledge! – Find out all about Barn Owls and what they need to survive – such as Nestboxes and Rough Grassland. Tell your family, friends and teachers that Barn Owls need our help and about the work of the Barn Owl Trust. Become an Owlet – a Junior Friend of the Barn Owl Trust. Let your family know how everyone can donate without giving any money! If you are lucky enough to see a wild Barn Owl in the UK – please record it on our Survey website. Help the planet by building homes for nature, reducing waste and recycling. This helps all our wildlife, including Barn Owls. Have a go at Building Bug Homes and Wildlife Gardening. Have fun with our Owl craft ideas using lots of recycled materials. 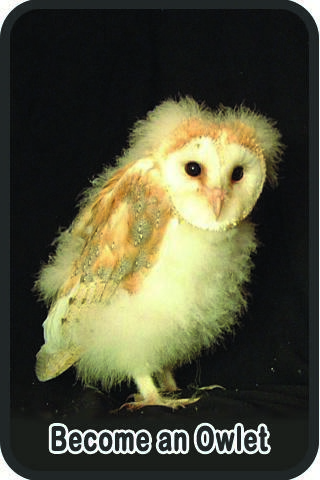 Collect used postage stamps on behalf of the Barn Owl Trust and send them to Stamps’n’All. Apple bobbing, swimming, hiking or walking, litter picking or even bedroom tidying! Choose a sponsored event that will be a good challenge for you – your sponsors will really appreciate your efforts and you will enjoy the sense of achievement when you meet your challenge. Hold a barbecue, have a cake stall, organise a bring and buy sale, have an owl party, hold a plant sale or a garage sale. The more original your idea, the more likely people are going to want to come along! We would love to hear about your event. Send us your ideas and photos and we will share them to inspire other kids to help Barn Owls – good luck!